Dear Joe, How Could Guardiola Be So Hartless? “Josep Guardiola can be intense, quixotic and hard to please – pesado they say in Spain.” Graham Hunter the British Spanish based journalist said of the current Manchester City manager. “Pesado” when translated from Spanish literally means heavy but in the context of describing a person means difficult, extremely annoying. Guardiola is a brilliant coach and has results to back it up. Intriguingly, one of his first acts as a full-time manager was to blackball 3 big players at FC Barcelona namely; Ronaldinho, Deco & Samuel Etoó. Etoó could not be offloaded easily that summer. He performed exceptionally as Barcelona swept all before them that season. 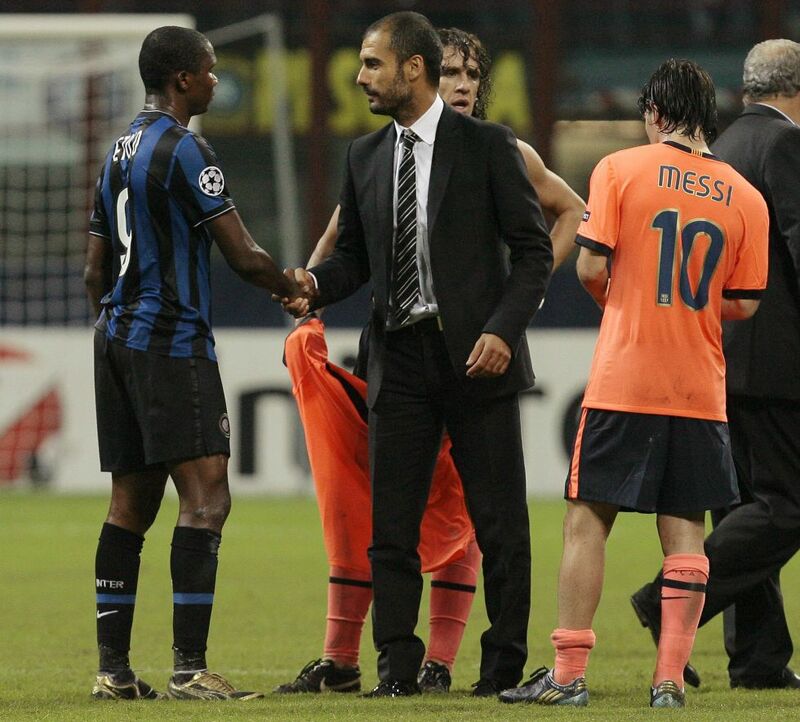 Guardiola eventually got his way. He sold the Cameroonian legend, strangely citing intuition rather than performance or a personal feud as motivation. 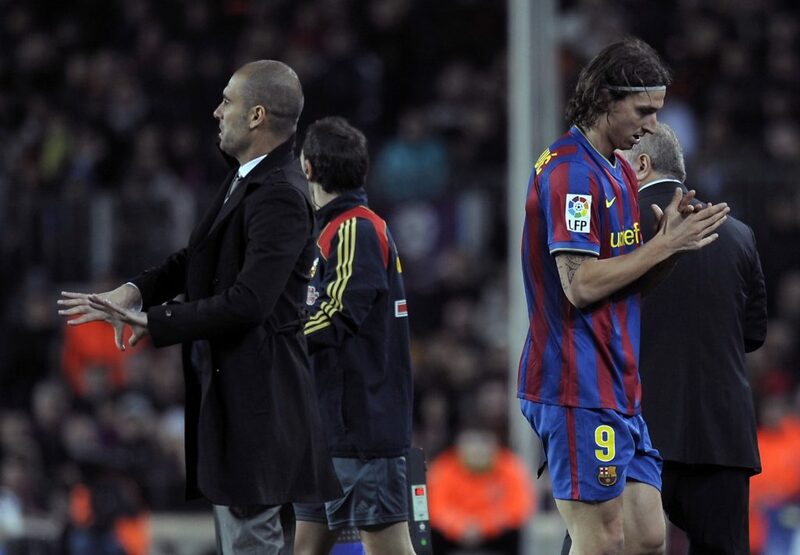 He and his replacement, Zlatan Ibrahimovic, rarely have nice words to say about the person of Guardiola. The English Number 1, Joe Hart is likely to join the group that will feel disappointed by the Catalan’s infuriating nature. Hart is the longest serving player in the current City roster. He is being made to warm the bench for a less talented keeper. To compound his issues, he is at a very huge risk of losing that starting spot for good with the imminent arrival of Claudio Bravo from Barcelona. Guardiola has not come out to brazenly say the Englishman is not part of his plans. It’s his team selections and transfer pursuits that say so. No love lost. The Swede striker is not a fan of the often enigmatic Catalan coach. “Joe is a goalkeeper and, with a goalkeeper, I talk to him ‘here is the ball at your feet’ and about what he has to do, rather than what he has to do with his hands. We have had a chat about that…” This quote from Pep gives us a peep into how is mind is working. Every manager from the Dutch/Barcelona school of thought prefers their keeper to be comfortable on the ball. The managers want preferably short passes and when keepers go long to combat offensive press, they ought to find a free man rather than a hopeful punt that pits players in a 50-50 aerial contest. The style involves playing out from the back. The goalkeeper is an extra man in that build up. If you associate with the idea of using possession to control every facet of the game, having a goalkeeper that gives away more than 40% of his passes is counter intuitive. Last season, according to Squawka, Hart had a distribution accuracy of 59% with an average distribution distance of 40m. Manuel Neuer who kept for Guardiola’s Bayern, had 83% over an average of 22m. Bravo, the impending replacement had 86% over an average of 22m. The best in Europe’s top 5 leagues. 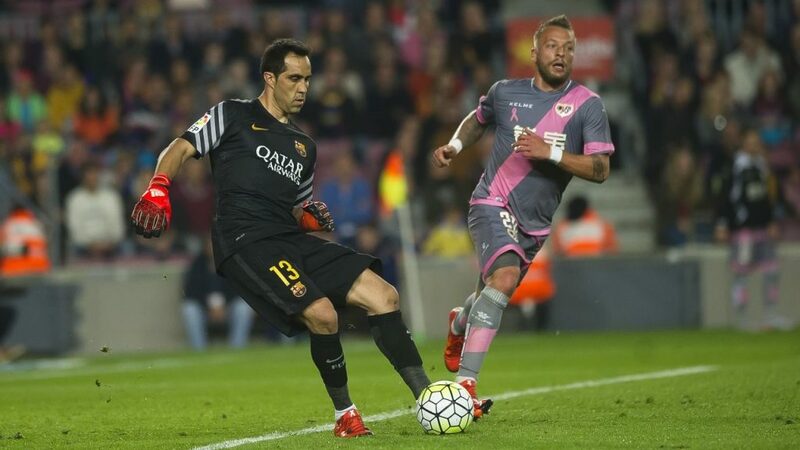 Bravo had the highest pass completion rate amongst keepers in Europe last season. Meanwhile, Caballero in the last game against Stoke just completed 58.3% over an average of 35m. Clearly the Argentine is no significant upgrade hence the pursuit of Bravo, a keeper well versed in the use of his feet. Pass accuracy aside, the goalkeeper’s positioning when his defenders are under pressure is something statistics cannot quite capture. The keeper is rarely ever intensely pressured. How he uses time and space to create passing lanes for build-up even before controlling the ball or hitting a pass is also key to the Dutch/Barcelona system. Another pertinent question. Why put Caballero in there ahead of Hart if he isn’t proven to better than Hart at distributing? One answer is that Guardiola is the trainer and watched them in training. He saw Caballero to be making more progressive strides in distribution. Problem with this is the kicking we have seen from him in the first 2 EPL games doesn’t lend credence to the theory. Txiki Begiristain and Guardiola knew all along that Hart wasn’t the type of keeper they wanted for the “Pep” style. They flirted with Andre Ter-Stegen who is younger and arguably the best goalkeeper in the world with his feet before moving onto Bravo. The Chilean captain would not sensibly jump from Barcelona where he was struggling to be undisputed No 1 to face the same issue again at City. Dropped. Hart losing his starting spot is just another message from Guardiola. Another answer. Dropping Hart could be an odd way of assuring Bravo his place in the first team is secure. The Champions League winning goal-minder would be feeling well valued even before being asked to sweep a single ball. Pep needs to imprint his style quickly and be competing up there sooner rather than later. He does not have the patience to wait for Hart to come through with more training. For now, Hart does not fit the profile, Caballero is a distraction and Bravo is the man he wants. At the end of the day, Guardiola is the manager at City. He will live and die by his decisions. His record at his past clubs vindicates the ruthless routes he has taken in forcing players out whether brazenly or subtly. Next articleSpend Spend Spend: Does Money Win Teams Trophies?